Hmmm camera cake sounds great! I want one for my Bday! thank you! We'll surely take a look!keep on following us! Yeah SocalWendie! 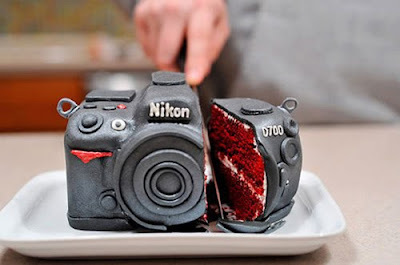 it sounds good, above all, as Roberto said, it's a Nikon Cake!